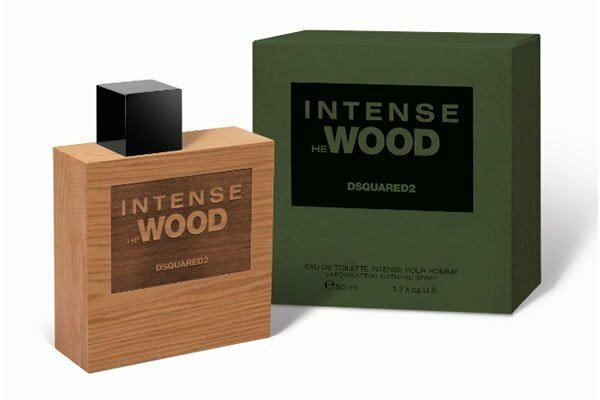 Intense He Wood is a perfume by Dsquared² for men and was released in 2014. The scent is woody-synthetic. It was last marketed by Angelini Beauty. Another outlier in terms of value-for-minlet! I spent about an hour in the store when I acquired this, spraying the tester, intraspiring of it, walking away (& sometimes trying other 'fumes, sometimes not), assuring myself @ one if the apothecaries on duty "so that is actually ^that^" (pointing), thinking all-the-while "there's got to be some catch!" - but there actually isn't! However, the unit-cost-rebate curve is ^extremely^ steep fræ 50ml to 100ml - £55 to £70 (which is another matter I had to ascertain scrupulously); and given how much I like it, ^that^ was a no-brainer! It is basically super-musky, & ^actually^ smelling strongly of wood y-cutten. Then there is also that aquatick note; so if uw like, uw've got a stream in a forest swarming with rutting deer! Or rather, rutting erlenmeyer flasks, swan-necked alembicks, & bains marie, etc.! Still, I'm no advocate of slaughtering animals to get cosmetick substances. Write the first Review for Intense He Wood!